Anytime you buy something used, you’re bound to have some apprehension. This is especially true if you’re buying a used car. Although the price of buying used is usually good, you never really know where previously owned items have been or what they’ve been through. While this may not be a big deal for some things, when it comes to your car, you should know every detail about the vehicle. The best place to get a used car from is at Car Village. 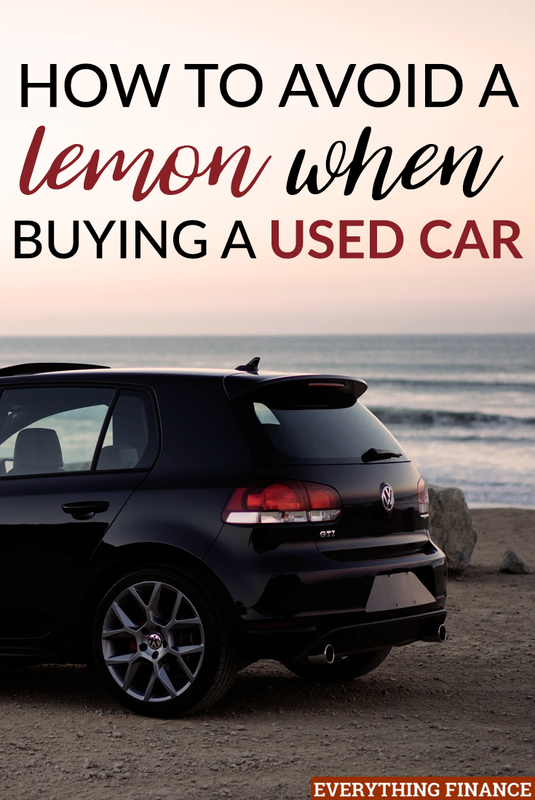 Unfortunately, all too often, people choose to purchase a used vehicle only to find out later that the car is a lemon. Of course, this means that you not only just spent a good chunk of change on a new car, but will likely have to spend even more money on auto repairs. Thankfully, there are ways to keep yourself from falling victim to a lemon. Here are some ways you can avoid buying a defective car. Like you would with any large purchase, take your time when looking at cars. Although you may be eager to purchase a new vehicle, don’t let the excitement blind you to potential problems. Carefully look at and research multiple automobiles before making any decisions. Furthermore, read articles and sift through customer discussion groups to see how other drivers have liked a certain car. Consumer reports and online forums can alert you to any recurring problems people have had with various makes and models before you make a purchase. Whether you’re in the market for a new or used vehicle, taking a car out for a test drive is an absolute must. There are often defects and performance errors that make themselves known when a car is actually on the road – problems you’d hate to become aware of as soon as you drove the car off the lot. Furthermore, a test drive can alert you to any features the car might have that you simply don’t like. Be sure to test a car at various speeds and conditions; it’s the only way to ensure a vehicle drives properly. Your test drive is also a good time to look over various features in the car to ensure that they’re under proper working condition as well. Vehicle history reports exist for a reason; they’re there to help customers (like yourself) avoid buying a lemon of a car. Sites like CarFax can provide you with a full report upon request. A vehicle history report allows you to view a car’s service records and damage and accident reports. It can alert you to any old or existing issues the previous owner had taken the car in for, and make you aware of potential problem-causing accidents the car may have been in. Moreover, a history report also lists the last known mileage and how many owners a car has had; all information that’s important for any potential buyer to be aware of. When it comes to buying a car, you can never look too carefully. Inspect every last inch of your potential purchase before making any decisions. Look thoroughly at the outside and all around the vehicle for any damages, such as dings or dents. Another good idea is to consider the time of day you look at the car. You’re much more likely to notice a flaw in the daylight than you would at dusk. Investigate the condition of the tires, windshield, wipers, and mirrors. Once you’ve examined the outside, look under the hood and at the interior. Look for any obvious issues under the hood by making sure all wires and hoses appear intact, and that nothing is rusted. Carefully inspect the interior as well. Although used cars might have a slightly worn looking interior, there still shouldn’t be any outlandish stains or tears and the dash should be in good condition. Although it’s good for you to inspect the car, unless you’re a mechanic yourself (or have a friend who is), there’s a whole list of potential problems you’d be likely to miss. Most dealers probably won’t allow you to drive their car to a mechanic, but they shouldn’t have any problem with you hiring a private one to bring along with you. Have a mechanic give the entire vehicle a once over; if they don’t find anything, you’ll have peace of mind, and if they do, you can negotiate to have the owner fix it, reduce the price, or, depending on the problem, move on to a more reliable automobile. Of course, if an owner refuses to let you have the car looked at all, then it’s time to find a new place to make your purchase. Don’t be afraid to walk away. While purchasing a used car that’s had its stereo completely redone and has been given a custom paint job might be tempting, you may want to hesitate before handing over your money. Although those aren’t generally harmful updates, depending on who you buy from, they could be. Unless these updates and accessories were supplied by the manufacturer, they won’t be covered by a warranty should something go wrong. Furthermore, many people take it upon themselves to modify their cars by themselves, and again, unless they are a mechanic or car specialist, it ultimately opens the door for problems to arise. At the end of the day, shopping for a car should be a fun and happy experience. Unfortunately, when looking for a used one, you open yourself up to the potential of buying a lemon. While there are laws out there to assist you should you happen to purchase a defective vehicle, it’s a hassle you won’t want to deal with. Take note of some of these practices and learn what to be aware of. Be sure to avoid making a hasty decision and inspect every aspect of a vehicle before buying; by doing so, you’ll drive away a happy customer. Have you ever purchased a lemon car? What are some things you try to be aware of when buying a used car?